Nowadays Chevrolet is developing its new generation of the popular Cruze vehicle that will be introduced at the auto show in New York this Wednesday and then comes on the market as a model of 2015 year. 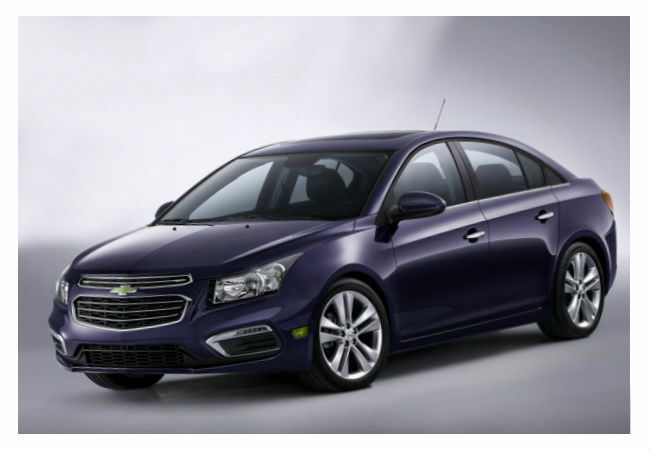 The Cruze model has become a well-known compact car in the world when it was presented in 2009 at first time. The updated exterior of the Cruze includes some new body colors, new headlights and similar lines and shapes to the Impala and Malibu models. The new interior gets much more technical features as well. There are many assist and warning systems, which help a drive to control a car with more confidence and comfort. The powertrain of the renewed Cruze will include the 1.4-liter turbocharged engine, the 1.8-liter gasoline conventional unit and the 2.0-liter turbo diesel engine. Moreover, the Chevrolet auto manufacturer plans to produce Eco and Diesel versions of the updated Cruze model this autumn.